Home » Blog » Jumpy Houses Atlanta: Peeps! 10 Fun Ways to Use the Marshmallow Treats! 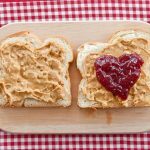 Jumpy Houses Atlanta: They’re almost too cute to eat! Over the years, Peeps — the marshmallow treats shaped to look like lil chicks — have gained a cultlike following. And while the Easter favorites are fun to eat, they also make great crafting supplies! So gather up the kids and get started on some fun holiday Peeps crafts — just keep an eye on your lil crafters, as we want to be sure they don’t eat up all of their supplies! 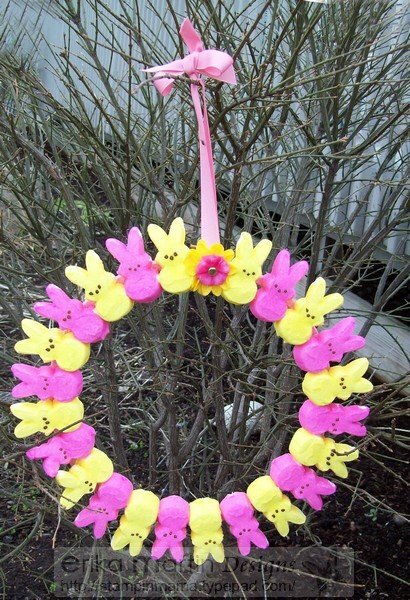 Welcome guests to your home as sweetly as possible with a Peeps Wreath. With just an embroidery hoop, ribbon, glue, and peeps, you’ve got yourself a festive way to celebrate the season. 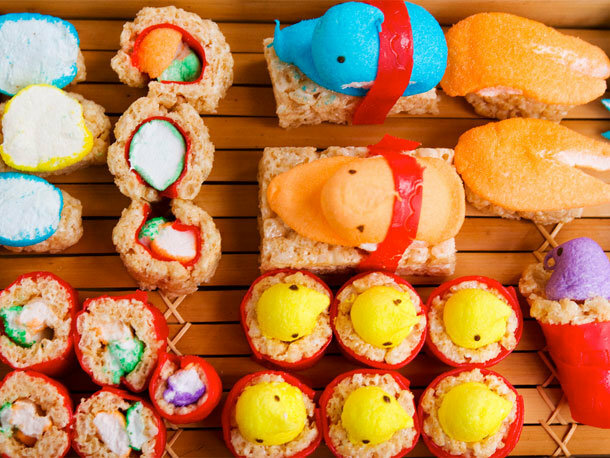 For a slightly more modern take on the use of Peeps, try whipping up some Peeps Sushi. Add the marshmallow chicks to Rice Krispie Treats — secured with Fruit by the Foot — for some tasty fun! 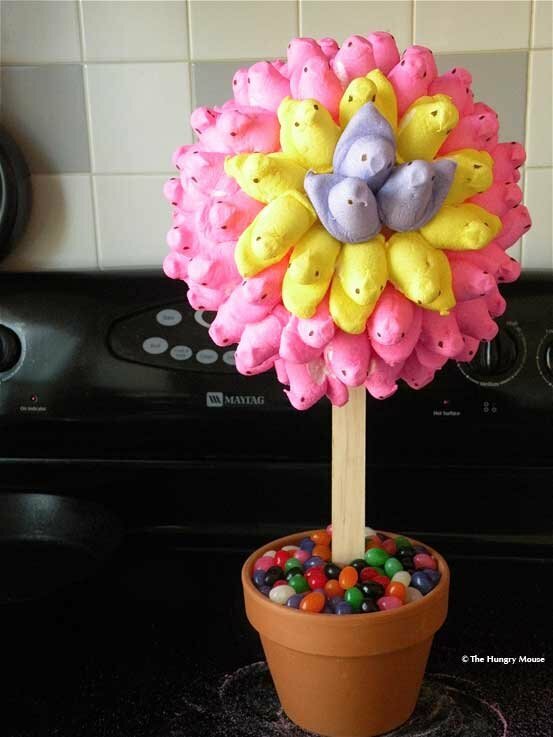 With a Styrofoam ball, a few packages of Peeps, and some toothpicks, tots can create their ownPeep Topiary. It’s so cute that mama will have a tough time not eating the treats herself! 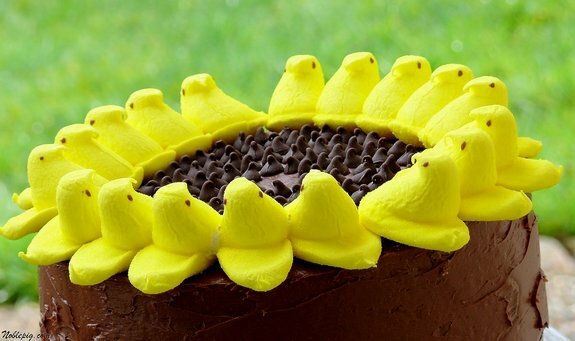 This Peeps Sunflower Cake is a sure sign that Spring is on its way! Peekaboo, these cupcake push pop peeps want to see you! 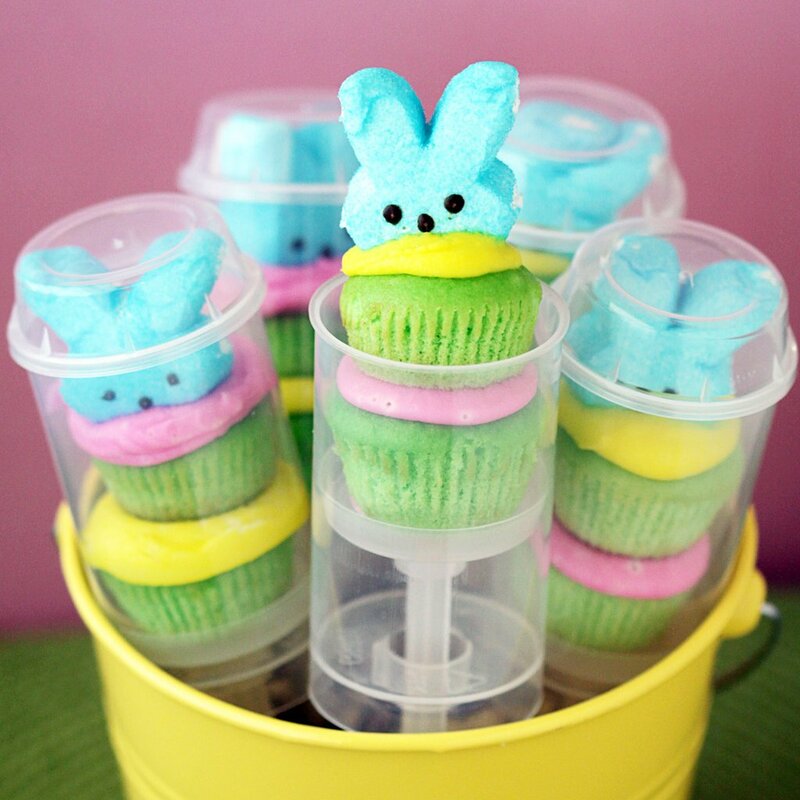 Adding minicupcakes, some icing, and Peeps heads to plastic push pop cases is all it takes for these fun Easter desserts. 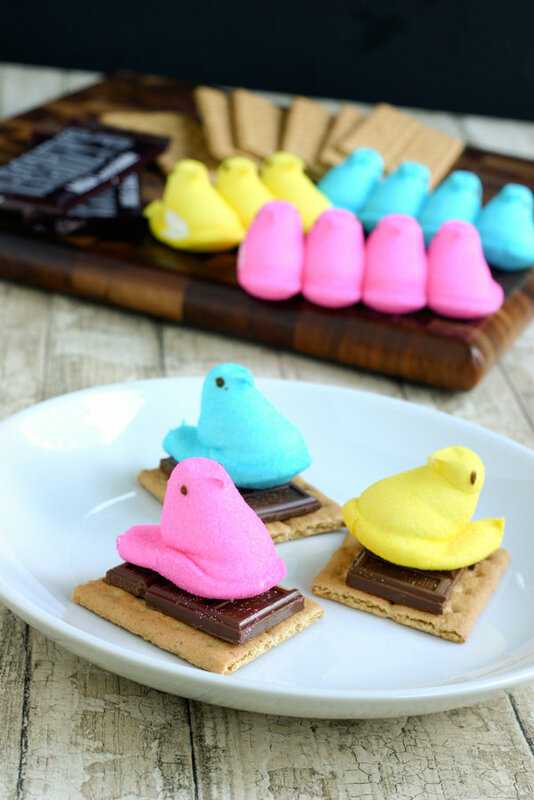 Lil ones won’t mind their favorite Peeps melting when they taste these yummy Peeps s’mores! By heating chocolate chips in a double boiler, scooping the chocolate into a bowl, and helping her lil ones spread it on Peeps impaled on Popsicle sticks, our own Peep baker created a semihomemade treat that would be perfect for a family garden party, playdate, or preschool celebration. Every chick needs its roost, and Peeps are no different! 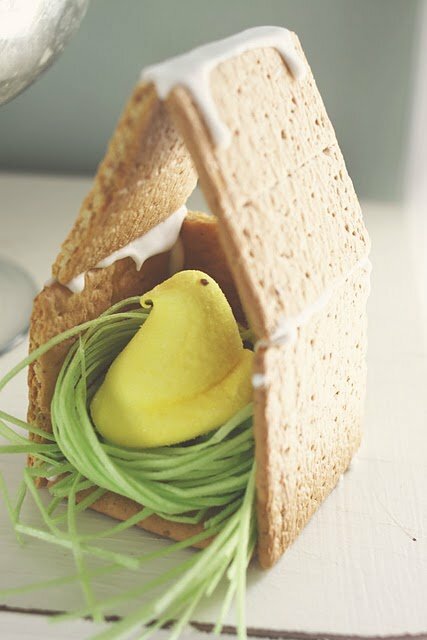 These easy-to-construct Peep Housesmake a fun activity for lil ones.